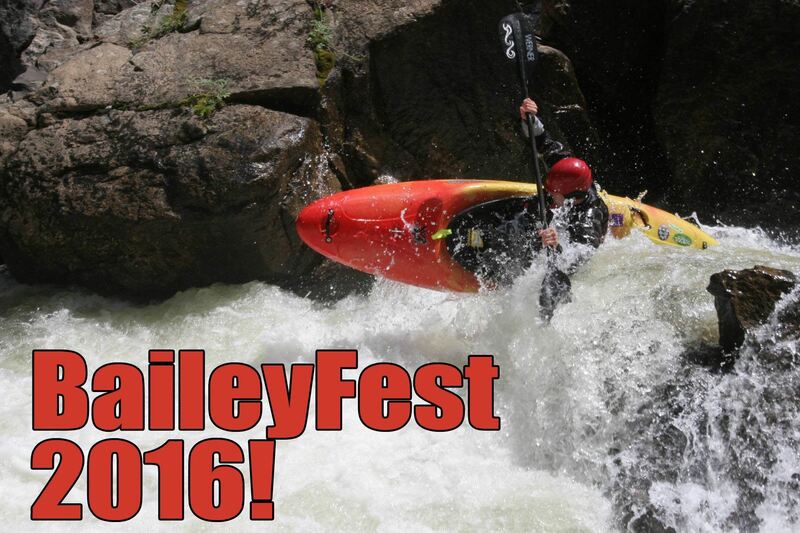 Sponsored by Oskar Blues and Jackson Kayak and with guaranteed flows from Denver Water, BaileyFest is back in business! Camping: The Berger property where it has been in years past (GPS coordinates 39.388017, -105.439813). Takeout party: Will be at Pine Valley Ranch Open Space ranch (Bailey Run takeout) from 3-6 PM on Sat Aug 13th. Cost: $40 Cash Only. This includes beer, food at the takeout party, riverside camping and entry into a raffle to win a free Jackson boat! Per the landowners request, please leave dogs at home. Anyone showing up to the campsite with dogs will be turned away. Also, while Bailey is really high quality IV+/V- paddling, Foxton (III-IV) will also have water and be close by as well as Waterton Canyon (class III) and Deckers (class II/III). There will be no food trucks this year at the campsite. Plan accordingly. Again NO DOGS. The landowner has been fantastic to us, but this is his one rule and we have to stick by it or risk losing this spot in future years. For any questions or to volunteer, please contact Pete Bellande.